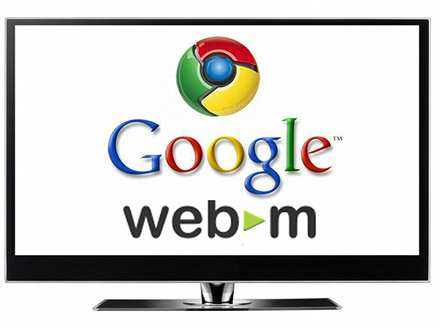 Home Google Google Chrome News Is Google telling us the truth about H.264 and WebM ? Is Google telling us the truth about H.264 and WebM ? H.264: It is a MPEG4 video codec standard which comes in different avatars. AVC in Blurays, .MP4 and .mov in Apple iOS devices, .MKV in pirated movies etc and known to give best compression for video and is matured over years. Currently H.264 free but from 2012 onwards we may need to pay the royalty charges. It was a big surprise for many when Google announced that it will discontinue supporting H.264 codec which is widely supported by industry including Google ( Chrome browser). There was many speculation on this decision and many of us have seen it as another ( but major ) step by Google to even with Apple who is one of the biggest supporter of H.264 in all their iOS devices apart from Sony on their Bluray movies and videos. As we see, the biggest enemies in history were all once close friends! After so many flame wars Google is forced give an explanation. They wanted to embrace open source in all their products and same codec should be supported by all browsers. Currently Firefox and Opera do not support H.264 and will never, so Google wants to help them by bringing another standard for Video WebM as part of HTML 5 and using Ogg Theora codec. Currently Theora codec is supported by Firefox and Opera. Google wants to write plugins for WebM for IE9 and Safari. Google could have given H.264 plug in to both Firefox and Opera instead and royalty for H.264 (after 2012) is pittance for Google. Again the biggest irony is that WebM itself may be open to intellectual property challenges, since its video codec, VP8, was developed in private by On2 and far from Open Source. So do you think Google is telling us the truth? Who knows? So we thought we have a excellent video codec standard H.264 which is matured over the years, but Google decided otherwise by bringing WebM and VP8 codec which is in it's infancy now. End of the day we need to take the positive side of it. As the old saying goes the trouble with standards is that we have too many standards to choose from !